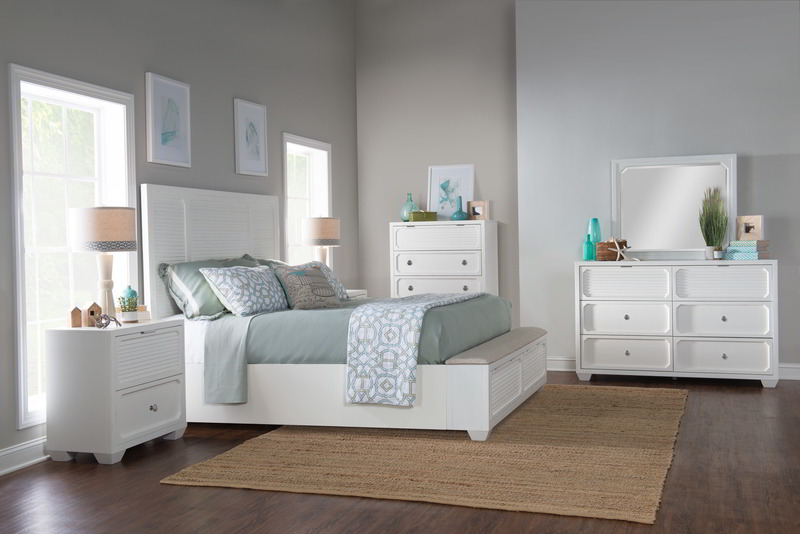 Create a relaxing bedroom retreat with the Willow Creek bedroom group by Legacy Classic. Design elements such as louvered drawer fronts, canted corners and tapered block feet add a casual tone. The Aged White finish with slight distressing and the Aged Pewter color hardware elevate the look and add subtle interest to the collection. Each piece is perfectly scaled to fit in many bedroom settings without being overpowering. Willow Creek offers form, function and quality that Legacy Classic is known for.